Went window shopping at Tony Moly @ Bugis Junction today and was very amazed by the number of new products that are available in the store. Every one of them seems to be waving hand at me saying: buy me!! buy me!!!. It took me some time before I finally decided to get myself a bottle of Tony Moly Citrus Juice Body Oil Mist. Also to replace my bottle of Bodyshop EDT that is going to run out soon. Am very captivated by the sweet citrus scent. Although the scent was natural and does not smell artificial to me, it does not smell like those oranges that we normally saw selling in fruit stores or even supermarkets. Maybe the type of orange they use for this product is a different breed. But then again, I sincerely believed that the scent can be improvise into something even better. While window-shopping at Tony Moly today, one little babe caught my eyes. 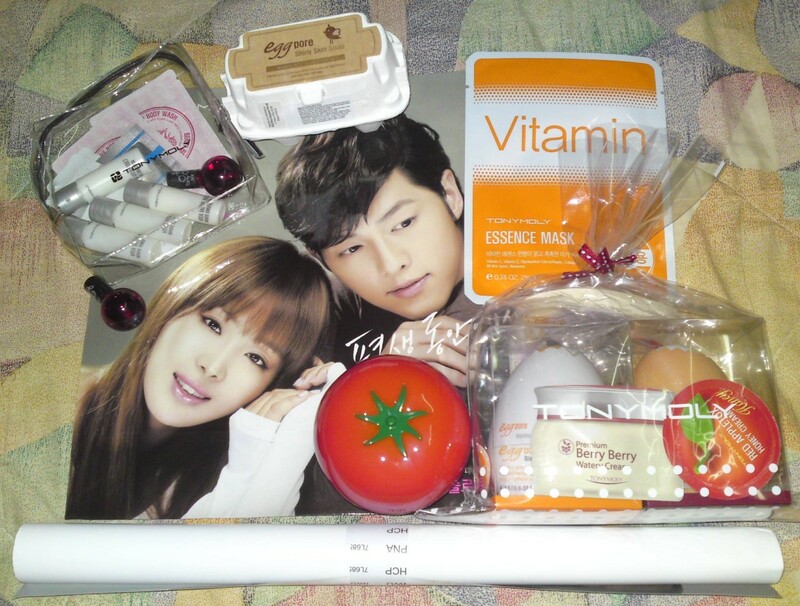 Its the Tony Moly Fresh Aqua Cooling 24 Eyes Stick. It is said to be an innovative eye treatment comes that comes in a a convenient stick form for intense moisturization and improved circulation. It refreshes the skin and revitalise eyes with just a few simple swipes. It also can hydrate, depuff and put the sparkle back to weary and stressed eyes. Sound wonderful, isn’t it? Should I get one? Got myself a tube of Tony Moly Beauty Perfume bar. There were a number of scents available and it took me a bit of trying and sniffing around before I finally decided to get my hands on Floral Queen Grace. At one glance, the perfume bar bears resemblance to that of a lipstick. That kinda attracts my attention. And the petite size also makes it very convenient to be slot into handbags is also another reason why I happily gotten one for myself. Am very honoured to be given the chance to witness the draw for the Tony Moly lucky draw for the SJK autographed latte cup. And also to be able to meet Ms Calle in person. She is a very gorgeous lady, just as I imagine her to be. Thanks, sis! My pleasure chatting with you. A very big congrats to the 2 lucky winners. May you love the cup as much as I loved my autographed poster. After the draw, I took the chance to shopped around the store and explore the various new products that are currently on sale. Took me a very long time before I finally make up my mind which product to get. Think I might kinda scared the sales assistant with my constant self talking and shaking of head. While paying for my purchase, Mr Ryan asked if I would like to top up my purchase to S$80 to get the SJK diary, but I’ve decided to give it a missed as I had already own 2 copies. He also kindly included 3 sample sachets for me to try. How sweet of him! 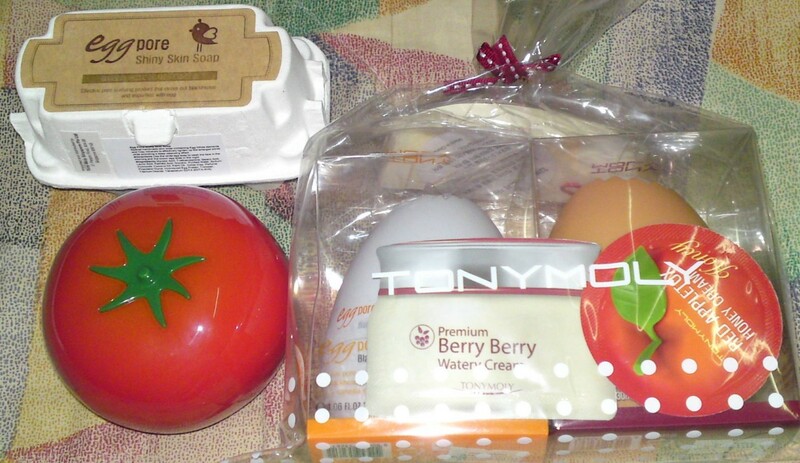 Went with July to Tony Moly store @ Bugis Junction to replenish her supply of beauty and skincare products and also to find out more about this brand for myself. We only stayed inside the store for 30mins as it was super crowded at the timing that we went. With our loots in hand, we walked out of the store feeling very happy and satisfied. And as always, July is the one buying majority of the products during our shopping trips. Out of all these items, only one belong to me. Anyone want to try guessing??? Just look at all the lovely samples given to us . 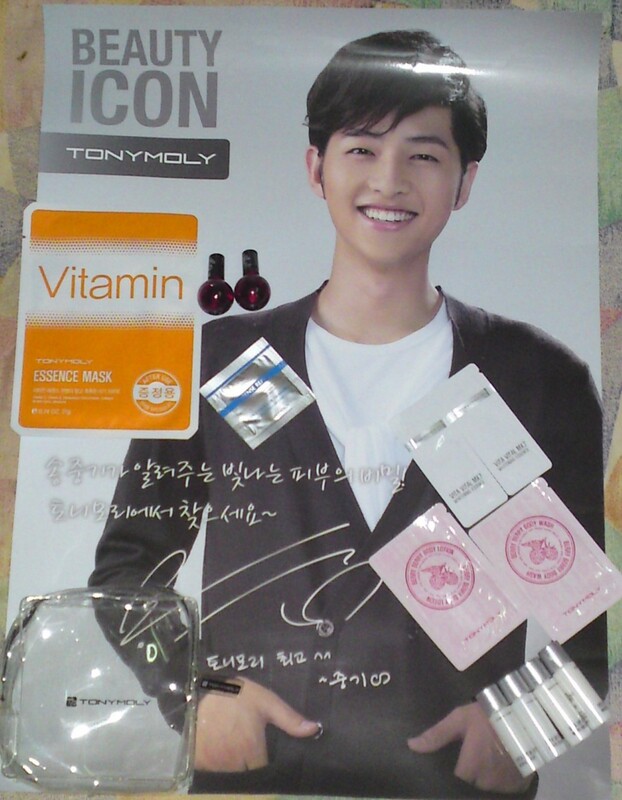 Isn’t that so sweet and generous of Tony Moly?